Understanding your niche is important and Amazon is a great research tool to see what the top products are in your niche and what customers are willing to pay to get the solutions they need. Many new online business owners fail because they do not know who their main competitors are. In some cases, they are working in a niche that is not a paying market, such as tattoos, a popular niche, but with too many freebie hunters. Once you have checked out Amazon, search for popular niche-related sites where your prospective customers spend time. Build relationships with them in a number of ways. Groups, forums and websites, blogs that are popular, discussion boards centered around your niche are all ideal places to meet, mingle, and get to know their pain points, that is, the main problems they have in reference to the niche. Niche marketing is the equivalent of fishing in a well-stocked pond. The secret is to come up with exactly the right bait that the hungry fish are eager for. Offer effective solutions at reasonable prices and see them take the bite. If you are thinking of starting your own website or blog, do your research to create the right bait. If you already have a site or blog that is underperforming, track which pages are the most popular and create similar content. 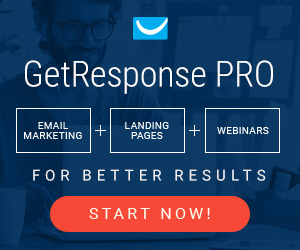 Test your sales letters to see how high they are converting. Then try to improve upon them. Open the marketing conversation by putting their needs first. For example, what are the most important things a beginner needs to know in your niche so they do not waste time or money? Brainstorm several topics and create either a short special report or ecourse for 2 of the topics. See who registers for them. Consider each new subscriber on each list as a vote for that topic. Create paid products as well as deals linked to the well-liked free of charge ones, plus services. The great thing about an email list is that you can communicate with and market to the people on that list at any time. But don’t just send promotion after promotion for your own goods. Mix your content emails alongside highlighted promotions. In the content emails, add the URL at the bottom in your signature area. Link your ecourses and special reports to your social media accounts. Once you have an email list and followers on Facebook, Twitter and so on, find out what kind of enticement will attract them by creating surveys and polls. Offer a list of suggested information products or services related to your niche, for example, and see which one is the most popular. The answer may surprise you. In this way, you will not waste any time. You will create a winning product from the outset with a paying market so you don’t have to struggle with sales. Another way to use email marketing, blogging and social networks is to help position your brand and business as a leader in your niche. There are actually a few simple shortcuts that can lead to big profits. We’ll take a look at them in the next blog post.